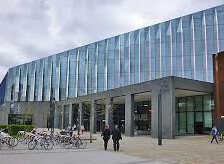 The Centre for Policy Modelling is a research-only unit of the MMU Business School that has focused on complexity science and social simulation since 1992. In its 20 years history CPM members have contributed to the theoretical development of the discipline and applied the simulation approach to a variety of issues and fields, participating and coordinating several UK and EU research projects. The founder of CFPM is Scott Moss, the current director is Bruce Edmonds.